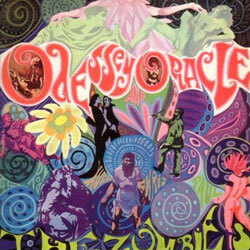 For fans of 60s psych pop, The Zombies’ Odessey & Oracle is regarded as a classic – even if it doesn’t get the same column space as the likes of Sgt Pepper’s…, Forever Changes or Pet Sounds. It’s now 40 years old and to celebrate, the original members are playing three shows in London. The first half of the show will feature Zombies hits (like She’s Not There for example), with the second half a run-through of the original Odessey & Oracle album, including the stunning Beechwood Park and the classic Time Of The Season. The shows are at London’s Shepherd’s Bush Empire from March 7th – 9th 2008. Tickets are on sale now. If you can’t wait, you can always go and buy the album.